The Dongji Islands lie at the border of the East China Sea. Known as “Lijiang on the Sea", they were made famous in the movie “The Continent”. They boast not only seaside entertainment, but also beautiful scenery, including sunshine, sea, reefs and seafood. 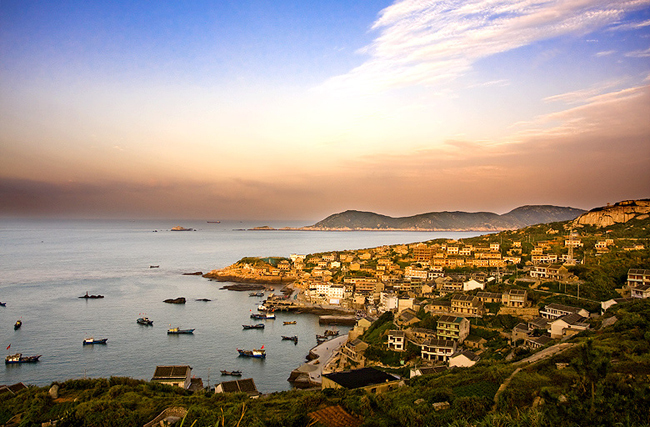 Popular nearby destinations include Miaozihu island, Dongfushan Island and Qingbin Island. Miaozihu Island is a good choice of location for watching the sea for a whole day in a kind of daze. As the largest of the Dongji Isands, it is extremely enchanting for its vast sea behind the reefs, serpentine roads and stone vine-covered houses.